Like Mojo, and many other FAWMers, who have formed freindships with Daniel over the years, I didn’t know he was sick. I was touched by his insightful & critical reviews of my songs as I posted them on FAWM. And I was inspired when he began writing lyrics. One of his songs touched me deeply & I immediately set about writing music & recording it as my second collab of FAWM 2015. Again, I was touched deeply by his feedback & encouragement during & after the process. Then Daniel informed all his collaborators about his health issues. He also wanted to know if we would donate our collaborative songs to a CD he would release to help cover some of his medical costs. I have to say we all jumped on board & agreed right away. Another FAWMer even donnated his talents to mastering the project. From what I understand, Daniel is planning on releasing this album this February to co-incide with the 2016 edition of FAWM. But until then, we have this marvelous album from Mojo & The Mythies to savour. These tracks are sublime. They are dreamy & beautiful. The mix of synths, meows & textures are ethereal. This music transports the listener to a place of warmth & peace. You quickly get lost in these soundscapes & simply want to lay back & absorb the positive energy they emit. From the dreamy feline-vocal-infused Hmmmerrræw to the almost classical-gothic Eehm Meow (one of the longest tracks on the album), you get lost in the textures simply by listening. Yet you begin to get a sense of the pain that cronic illness forces individuals to suffer in the vocal-heavy Mæw Khkrrraow Arrrew. There’s a range of emotion delviered in these songs that move the listener. And I hope they move you too. Daniel is an amazing human being who has done a lot to promote many of FAWM‘s greatest songwriters. It is only fitting that we help him out. So please, help Daniel out. Get your copy of Appetite for Alleciation by Mojo & The Mythies & donate whatever amount you feel to help Damiel pay for his treatment. Then stay tuned for Februrary when FAWM begins again & Daniel releases his Collab Album from FAWM 2015. 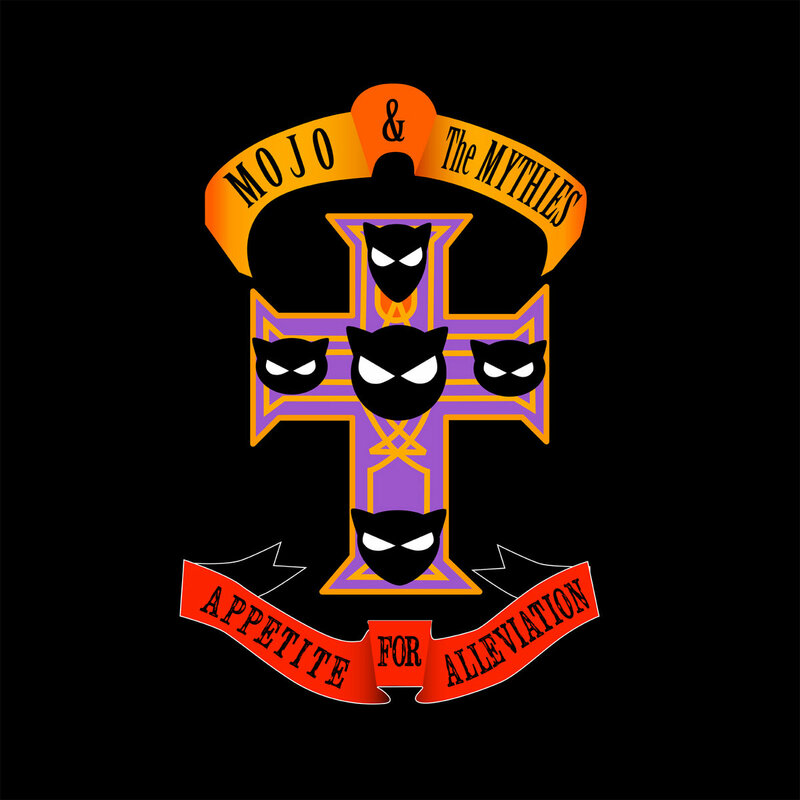 GET APPETITE FOR ALLECIATION BY MOJO & THE MYTHIES NOW! This entry was posted in FAWM, Music You Need To Hear…, Promotion and tagged benefit album, catcore, chicago, chronic illness, collaboration, daniel, FAWM, FAWMers, Mojo, mojo and the mythies, mojo the cat, pawgaze, pop mythologist, Pop Mythology, popmythology.